There are a few thing we look forward to at the end of every year and Top 5 videos is one of them. It’s always interesting to see what people choose to put on their lists. Almost all reviews get positive things said about it. I suppose if something is terrible people just don’t bother to review it. Once in awhile you will get a negative review, but that’s the exception. When it comes to a Top 5 list it forces reviewers to lay it on the line. Pick five. You’ll still see some hedging with some “honorable mentions” and slipping some extra items in. That’s fine, but at the end of the day, the list only has five things on it. The ones that actually number them are the bravest of all. Pipe tobacco lends itself to such a list. Most people like to try new blends throughout the year, plus they are smoking their time tested favorites. So does a Top 5 list only include new blends that came out that year, the favorite new blends to the reviewer, or the favorites of all time? Everyone answers that question for themselves. If we were going to make a list, which we won’t, it would be the Top 5 of all the blends we smoked all year. It would be more of a Top 5 of all time, since a new blend would have to knock one off the list. This past year we saw a slew of blends that went by the wayside. You know what they are. The problem is that list of discontinued blends would make up a bulk of our all time Top 5, so this year and the next few, we are going to be challenged to come up with a new all time list. Should it be fair to put a blend that no longer exists on a Top 5 list? Should it be fair to compare aged tobacco with new tobaccos? It’s a lot to think about, but it’s fun. We love the Top 5 lists so we are going to have one. The Top 5 Top 5 Lists. Since people followed their own rules in making up their lists we did not think it was fair to number them, so they will be presented in no particular order. We also stuck with only ones that were put out for the end of 2018. Let’s begin adhering to the Ladies First adage. Mrs. Harriet Herfer will start us off. She is also a rookie contributor to the Top 5. She doesn’t go out on a limb with anything on her list, all solid bends. A couple discontinued blends. Overall a nice list. Next up is The Bayou Guru, Mr. Jason Mouton. 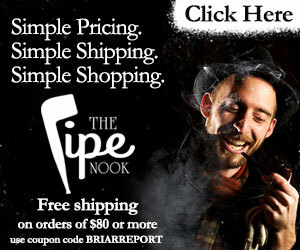 Some day when people will put out their Top 5 best pipe makers Jason is going to be on it. But for now we are going to see what he picked to make his Top 5 this year. A rainy day front porch video, you really can’t get any better than that. I might even put it on a Top 5 videos of the year. Hmmmm. His list is fantastic. Across the board all solid picks. Ghost Cob shares his list, which he presents in the “no particular” order format. Mr. Cob is not one to do any reviews so this is a treat, but he is an expert in Top 5 lists. You knew Boswells was going to be on his list but there were some surprises. He has some that I would not have guessed he’d pick. His list more than any other, has more “all day blends” than any other we included. As a special service he gives you the links to where you can get the blends. It is highly recommended you use them. Hitting cleanup is the Mayor of the YTPC, The Honorable Derek Tant. He has always turned in a spectacular list and this year is no exception. In the past he has provided us with more good recommendations than any other single person. His suggestions are almost always gold. If you follow him you know that 2018 was the year where he only smoked blends that were new to him. Sticking to things he has never tried before, makes for a list that we were highly anticipating and Mr. Tant didn’t disappoint. Last but not least, is Smoking Fireman. He turns in a pretty good list. There’s not a single blend on his list that we would disagree with. It’s almost a shopping list for a new smoker. Well done Mr. Fireman. We’re going to give you two bonuses. Not because we are trying to squeeze some more in, although we are doing that, but because they didn’t fit the criteria for our list. The first bonus video is from Ole Berg himself, who couldn’t control himself and went right for the Top 10. Of all people we give him a pass because we know of nobody who smokes as many blends in a year as Ole Berg. It’s understandable that he needed ten spots to cover his year. The other bonus is Mr. Smokey Mo. He checks in with a Top 5 list of Cigars for the year. That was a nice treat and we appreciate him making that video. Every cigar guy and his brother is making a list but it’s rare that someone in the YTPC does, so it caught our attention. Worth a look if you like having a stick once in awhile. Or more often than that in some cases. 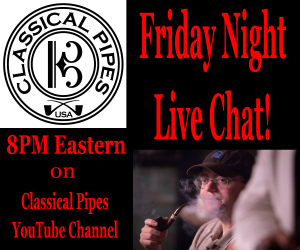 The Pipe Professor has his list out which is worth checking out. 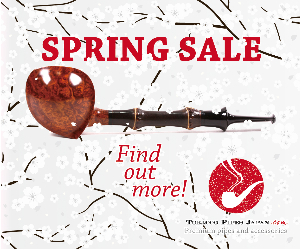 Finally, our good friends at the Pipe Club of Zaragoza posted their list on Twitter. If you’re on Twitter, they are worth a follow.